Cary Ann Hearst and Michael Trent are on a roll. The married coupled known as Shovels & Rope have not only released this, their fifth set of originals, but recently created a film from one of their shows in support of 2016’s Little Seeds, curated the popular High Water Festival for the third year, and written their first children’s book (based on this album’s track “C’Mon Utah”). Most artists would struggle to do any one of those. Like their twisty music which is created by just the twosome (occasional horns and fiddle are handled by guests), it’s an aggressive approach. Shovels & Rope’s sound has never been easy to pigeonhole and these ten tunes don’t change that. The duo shifts from the opening “Coming Out”’s Beatle-esque, slightly psychedelic rocking pop to the widescreen balladry of the defiant “Carry Me Home,” the dark folk of “Good Old Days,” the punky, plucky rocking of “Pretty Polly,” and the thumping, edgy bluegrass of “Hammer.” In other words, it’s a typical S&R collection. The dual vocals have seldom been more indebted to X’s John Doe and Exene. Although the style is more Knitters than X, the rawness to these tunes makes Shovels & Rope seem like ornery, indie folk-rockers. On “Good Ole Days,” the strumming acoustic guitars and easy flowing harmonies soften the sting of lyrics that may be about writer’s block (“There’s no barren wasteland like the back of my mind”). First single “The Wire” rides in on a tough guitar riff and the potent words “I won’t fail you when I walk out on the wire.” As usual, S&R’s lyrics are often perplexing, as in “Twisted Sisters” (“oh daddy daddy/ get up and ride/ cause twisted sister’s a mile wide”). 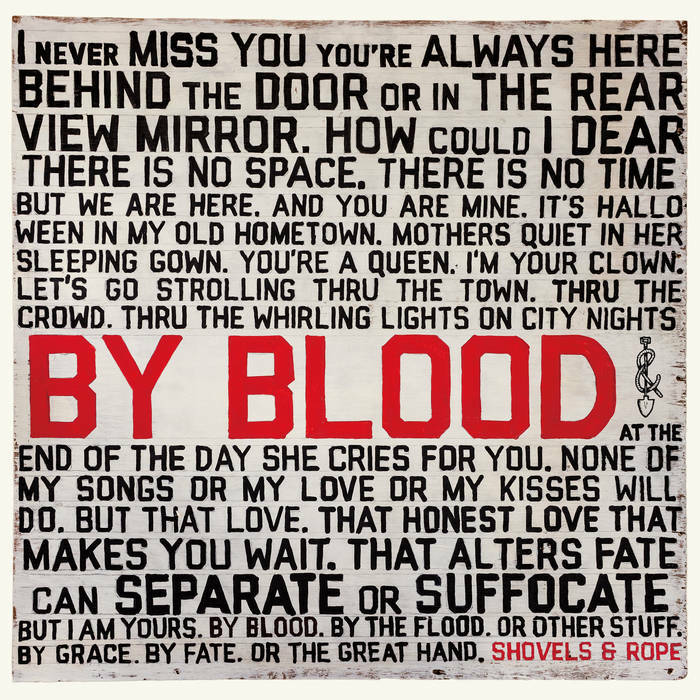 But that’s also to be expected of Shovels & Rope, a band constantly in motion, creating fresh ventures to the left of center and never looking back over their collective shoulders.